These are some of the resources I have found useful. As well as an interest in conservation and other issues related to forests and forestry, I have a practical interest in managing a small (22ha) piece of land belonging to my family that supports a mature mixed forest. There are clearcuts on either side. A conference on best management practices for sustainable forest communities. Held July 8 and 9, 2008 at the Membertou Trade and Convention Centre, Membertou, Cape Breton, Nova Scotia. Presented by the Unama’ki Institute of Natural Resources. Comprehensive document with Q&A, Discussions. Peter Neily and Glen J. Parsons. NSDNR 2017. The 126 page guidebook contains a lot of useful information primarily at “the forest stand level”, encourages managers to retain legacy trees, patches of old growth etc. and for some specific situations or wildlife such as as nesting colonies of great blue heron offers very specific instructions on how to protect them. The Eco Notes in each section provide interesting, relevant and practical information about forest biodiversity that will be welcomed all people who have an active interest in our forests regardless of whether they actually manage any forest. In University of Kentucky’s Woodlands Magazine, but concisely and well explained and the principles are applicable to our Acadian Forest. Fundy Model Forest, 2008. Slide presentation describes features of the Acadian forest, and management steps appropriate for restoration to something closer to its historical state. 14 modules. “Choose between studying online, downloading from the site, or mailing in”. These are mostly quick intros, e.g. on tree pruning, crop release. Management of Natural Acadian Forest – A guide to Resources is a 52 page document with active links to related resources. Paper by Robert Seymour, 2005, P. 41-48 In: Peterson, C.E. and Maguire, D.A., editors. Balancing ecosystem values: innovating experiments for sustainable forestry. USDA For. Serv. Gen. Tech. Rep. PNW-GTR-635. 389 Available at http://www.fs.fed.us/pnw/publications/gtr635/GTR635a.pdf, text pages 41-48. ABSTRACT: “With rare exceptions, the presettlement Acadian forest of northeastern North America was driven by gap dynamics; true stand replacing disturbances were quite uncommon, with recurrence intervals of many thousands of years. After centuries of human exploitation, stand age structures have become simplified, and commercial timber rotations are a fraction (15 to 40 percent) of the lifespan of the common late-successional tree species. Adapting silvicultural systems to strengthen their ecological foundation thus confronts the challenge of converting single- or two-cohort stands to more complex structures via various combinations of regeneration and retention… A hybrid system is described that combines the proven benefits of shelterwood with the restoration advantages of group selection; in American terminology, the system is an irregular group shelterwood with reserves, similar to the German Femelschlag in which gaps are created and gradually expanded over several cutting cycles. “This catalogue of resources is a work in progress. 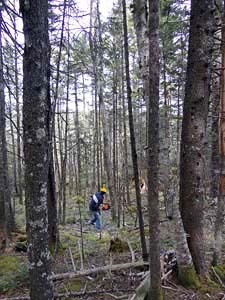 NSWOOA intends for it to become the most comprehensive source of information available on sustainable management of the Acadian Forest.” Resources are listed under the Index of Topics, e.g., the first three are Acadian Forest and General Woodlot Management, Beauty and Solitude, Carbon Storage, Cycling and Offsets. Also see Management of Natural Acadian Forest. A Guide to resources. It is bascially a print version of the above. “… the 123 method was developed to allow harvesting operations under the concept of a “perpetual forest cover” system. This method meets the uneven-aged management regime requirements because it permits the three basic silvicultural functions—harvesting, tending, and regenerating—in one operation. Application of the selection cut in softwood forests using the 123 method developed by FPInnovations addressed wildlife habitat concerns, maintained visual quality of highly valued landscape, and provided alternatives in ecosystem-based management schemes… [In this study] A stand mainly composed of sugar maple, located in nearby Heatherton, Nova Scotia, was selected as a replacement for a group selection cut… The trial results show that the selection cut using the 123 method can be used to manage hardwood forests.” Another trial was conducted in 2013: Operational trial of the Selection cut using the “123” method at Northern Pulp Nova Scotia Corporation, with seemingly promising results. Curiously or at least regrettably, the report(s) by FPInnovations on application of the 123 method to softwood forests seems to be no longer available. Canadian Forest Service – Maritimes Region. 1994. Lots of still relevant content: The Role Of The Riparian Zone As It Affects Water Quality, Riparian Zone Considerations for Management of Fish, Fish Habitat, And Sport Fishing In New Brunswick, The Importance of Riparian Zones as Wildlife Habitat, The Role of the Riparian Zone as it Relates to Recreational Activities Riparian Zone Management: Legislation and Objectives, Oregon’s Forest Practices Act and Riparian Rules, “In-Stream” Management Techniques to Enhance Fish Habitat, Managing Riparian Habitat for Songbirds, Raptors and Small Mammals, The “Puddle-Jumping” Model of Sediment Movement Through Riparian Strips, Softwood Management Techniques in the Riparian Zone, Silviculture Recommendations for Riparian Zones on Prince Edward Island, Recreation in the Riparian Zone: Practical Advice for Forest Managers, Symposium Summary. Also see Setbacks & Vegetated Buffers in Nova Scotia:A review and analysis of current practices and management options by Emily Rideout, 2012. Silvicultural alternatives to conventional even-aged forest management – what limits global adoption? 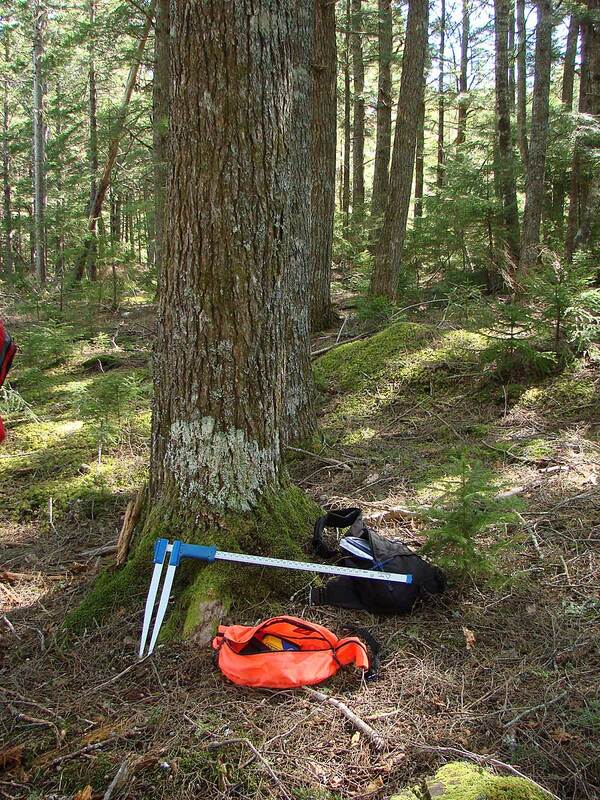 Implementing Complex Partial Harvests in Central Maine: Is Tree Marking Necessary? 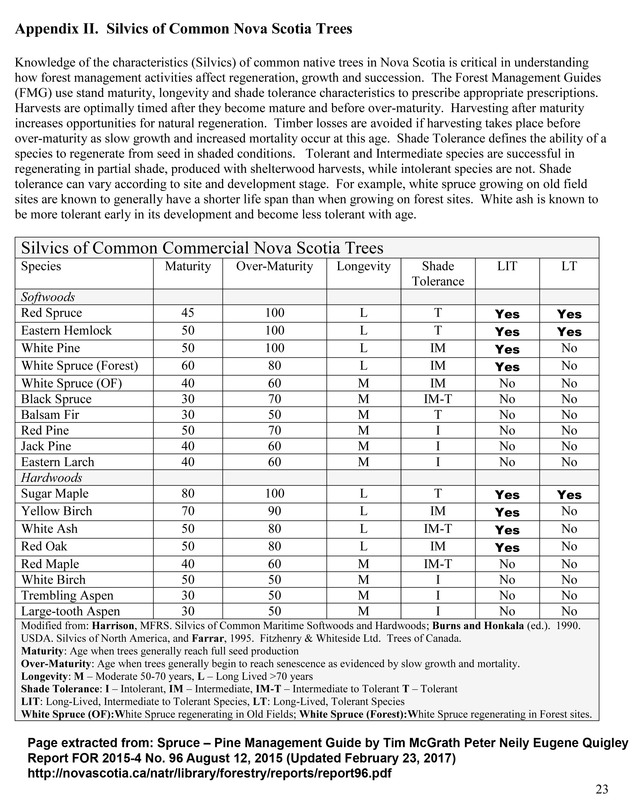 Tree Marking – why not in Nova Scotia? Post on this website, Nov 10, 2016.
describes use of heavy equipment in a selection cut. See also: Module 12: Small Scale Harvesting Equipment – What’s Right For You? Youtube Video, NS Archives. How the forests and forestry have changed! West Virginia Public Broadcasting, June 28, 2017. For West Virginia but good explanation of some of the principles. by Irwin Post in Northern Woodlands, Autumn 2008. GEORGE WUERTHNER George Wuertner in the Independent Recordm Apr 3, 2018. Insightful. PhD thesis by Glyn Charles Bissix, The London School of Economics and Political Science University of London 1999. Appendix B, page 277-282 provides a Chronology of Nova Scotia Forestry, 1755 to 1998.
those contexts for best management approaches. “The release of Peter Murphy’s and ACALA’s video “It’s TOO Big – Biomass” was designed to be a stark one sided look at the Point Tupper Biomass Plant. There was need to shock the public into realizing what was happening in Nova Scotia the forest industry. “While operating a camera for this video. One of the comment that stuck in my mind was a statement from Danny George: If the logging industry (as it is now) was to shutdown it would be the best thing to happen. A value on industry would slowly evolve. “After it’s was released I received permission to edit my version based around Danny George’s comment. Danny’s 40+ years of experience in the logging industry was used to show how to take as much value out of the logs as possible before shipping the unusable rest to the Biomass plant. The three trees in the videos would have have very little value as the price at that time was around $49 a ton delivered. Harvesting them only for Biomass with out proper knowledge how to abtain the most value value is simple throwing hundreds of dollars out the window. Simply stated burning gold. Bruce Stewart et al., 2009. NSDNR. “The goal of this research is to develop a scientific understanding of forest response to selection cutting that will lead to effective selection management techniques and guidelines. It is designed to study treatment effects on growth and yield, tree quality, regeneration, age class structure, blowdown, and a range of ecological parameters including coarse woody debris, structural diversity, plant species diversity and dynamics of large retained legacy trees. The trial has a longterm outlook (75+ years) that will include periodic treatments and regular measurement cycles. It will involve management manipulations targeting basal area retention, light availability, species selection, and quality improvement.